Univ Of Minnesota Press, 9781517903756, 280pp. 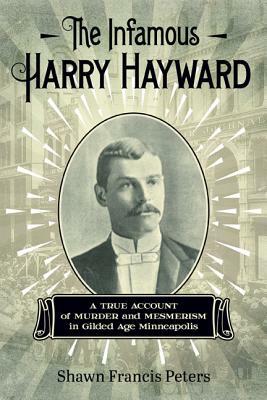 Dubbed “one of the greatest criminals the world has ever seen” by the famed detective William Pinkerton, Harry Hayward was an inveterate and cunning plotter of crimes large and small, dabbling in arson, insurance fraud, counterfeiting, and illegal gambling. His life story, told in full for the first time here, takes us into shadowy corners of the nineteenth century, including mesmerism, psychopathy, spiritualism, yellow journalism, and capital punishment. From the horrible fate of an independent young businesswoman who challenged Victorian mores to the shocking confession of Hayward on the eve of his execution (which, if true, would have made him a serial killer), The Infamous Harry Hayward unfolds a transfixing tale of one of the most notorious criminals in America during the Gilded Age. Shawn Francis Peters teaches in the Integrated Liberal Studies Program at the University of Wisconsin–Madison. He has written five books, most recently The Catonsville Nine: A Story of Faith and Resistance in the Vietnam Era.